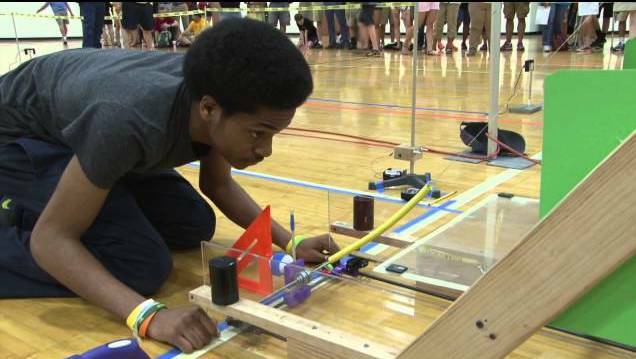 Georgia Institute of Technology® is the Affiliate Partner for Science Olympiad, Inc. The Georgia Tech® Center for Education Integrating Science, Mathematics and Computing (CEISMC) facilitates Science Olympiad for the Georgia region and operates the Regional Tournament held at Georgia Tech®. All other Science Olympiad events are operated by local hosts for the facilitation of the event. The local event hosts are responsible for all tournament arrangements under the guidance of Science Olympiad, Inc. protocols. To learn more about Science Olympiad go to www.soinc.org. The Regional Science Olympiad Tournament is returning to Georgia Tech! The Science Olympiad is a nationally recognized program for enhancing science education and interest in science. It is a science competition for teams of up to 15 students competing in 23 different age-related events over the course of the day. The activities emphasize doing and applying science. In the Spring of 2019, Georgia Institute of Technology’s Center for Education Integrating Science, Mathematics, and Computing (CEISMC) will host a Division C regional tournament for 20 teams of high school students. Winning teams will advance from regional to state to national competitions. The location for all of the tournament events will be Clough Undergraduate Learning Commons and the Skiles Classroom Building. The Georgia Tech Science Olympiad team includes Cluster Coordinators and Event Supervisors, which include faculty, staff, and students from across Georgia Tech’s colleges and schools, and students from neighboring institutions who create and run the events.